Federal Hill’s New Restaurant Openings for 2016: Bon Appétit! Baltimore residents and visitors alike know that Federal Hill has a thriving nightlife scene, but foodies rejoice too at the opening of several new restaurants in the area. Our luxury apartments give you access to the robust and diverse culture of Baltimore and Federal Hill, a perfect place to discover new cuisine. Here is a list of eight new restaurants opening around Federal Hill in 2016 that are sure to bring out the foodie in you! 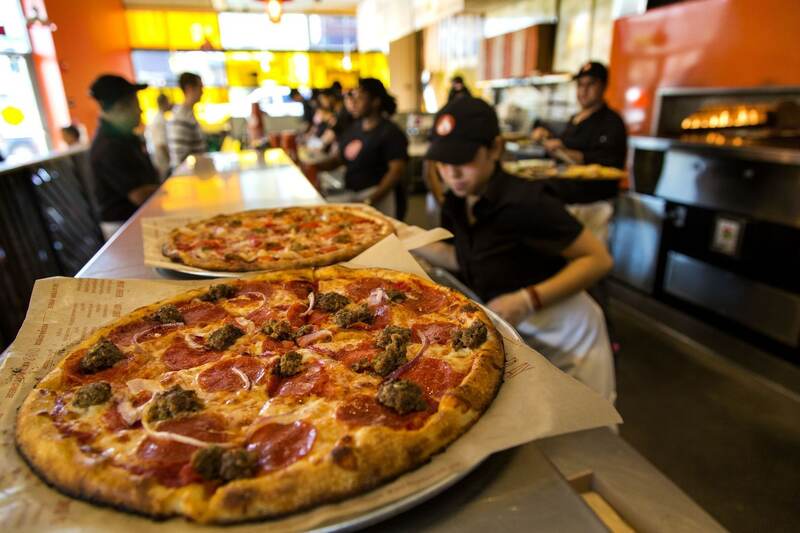 Just minutes away from 1201 S. Charles, Blaze Pizza will offer a menu full of signature pizzas and salads along with build your own pizza options. Order ahead for a quick meal to-go, or make it a fun night out by dining in at their 600 E. Pratt Street location. This widely-praised sandwhich stall in the Fells Point Farmers’ market will open their own restaurant in Fells Point in March 2016. Ekiben is known for their rice bowls and steamed bun sandwiches influenced by styles of Taiwan and Southeast Asia. Namaste Baltimore opened its doors January 18, 2016 in Roland Park. This eatery offers an array of reasonably priced Indian and Nepalese inspired cusine such as samosas, goat curry, pakora, tandoor and vegetarian options. Cosima will open winter 2016 at Mill No. 1, offering Baltimore an experience in Southern Italian dining. Their menu features many staples of Italian cuisine including wood-fired pizza, pasta, and slow-roasted meats to pair with Southern Italian wines, local craft beers and cocktails. Huck’s American Craft Bar and Restaurant opened their kitchen for business January 20, 2016 at their Brewers Hill location. Huck’s offers an all-day breakfast menu, weekend brunch menu, pretzel pies, sandwiches, classic American entrées and large selection of craft beers and cocktails. Coming in March 2016, the Loch Bar will be a classic Maryland seafood house and home to one of the region’s largest raw seafood bars with a whiskey, cocktail and craft beer bar to match. They will be located on International Drive overlooking Inner Harbor, minutes away from 1201 S. Charles. This restaurant will bring a taste of the Dominican Republic to Baltimore with plantains, rice and beans, seafood, and rotisserie chicken. The owner hopes to open the restaurant in February 2016 at Fells Point near Federal Hill. HandleBar Cafe, restaurant-bike shop is set to open in March 2016 in Fells Point near Federal Hill. Along with being a full-service bike shop, the restaurant will serve coffee, pizza, burritos, and beer with dine-in or delivery by bike options. By Andrew Peron|2016-08-09T14:39:11-04:00February 4th, 2016|1201 Blog|Comments Off on Federal Hill’s New Restaurant Openings for 2016: Bon Appétit!